Do not use telephones, headphones or electrical appliances during the storm – lightning can travel through the wires and produce shocks to anyone using them. Note: Cell phones are safe to use during lightning storms because they are not physically connected to the wires. 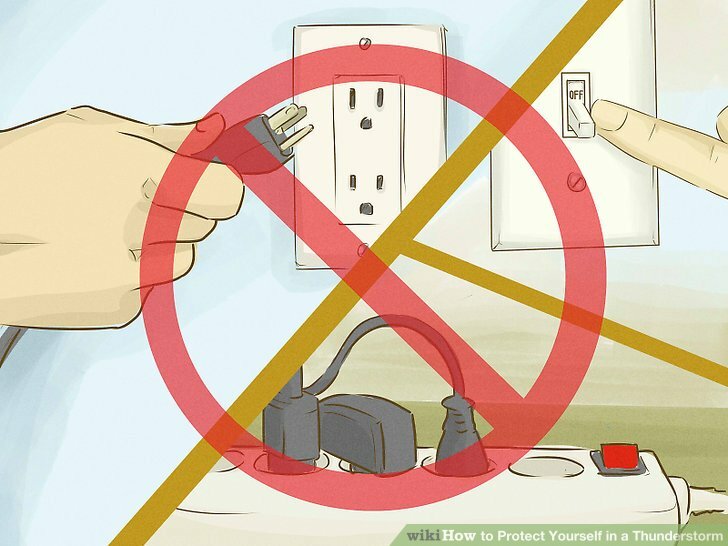 Unplug expensive electronic devices (televisions, computers, stereos, etc.) to help protect them. Do not take a bath or shower or do dishes during a lightning storm because water is a conductor and charges can be carried through metal pipes. Stay away from windows, doors, and exterior walls if at all possible. Keep windows and doors closed during the storm. Stay inside for 30 minutes after the last lightning strikes to ensure the storm has fully passed.